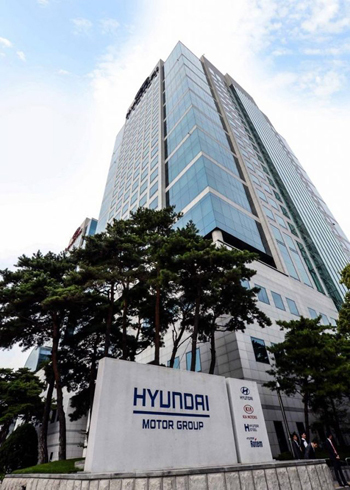 Hyundai and affiliate Kia saw their combined market share plunge in the domestic car market due to a lack of new models alongside prolonged labor strikes. They accounted for 58.9 percent last month, the lowest in 16 years, according to the Korea Automobile Manufacturers Association on Friday. Their market share, which had been over 70 percent, dropped to around 60 percent in June 2014 and seemed to be recovering for a while before falling again to stand at 58.9 percent in October this year. Meanwhile, GM Korea, Renault Samsung and Ssangyong took up a combined 26.6 percent of the market last month, almost double the 14.5 percent recorded in January. The growth was largely due to the release of new models such as the Malibu and SM6 sedans. GM Korea accounted for 11.3 percent, Renault Samsung 9.0 percent and Ssangyong 6.4 percent. Sales of imported cars, which struggled for the last five months, began recovering last month. A total of 20,612 imported cars were newly registered in October, up 18.3 percent from 17,423 cars during the same month of last year and up 22.9 percent from 16,778 cars in September.